and report news of Dhan Gopal Mukerji, Jr., Mukerji’s son and Nehru’s godson. Even from jail, Nehru apparently answered these letters with food, reviews of Mukerji’s books, and news of the Nehru family. The letters also demonstrate Mukerji’s failing physical and mental health, as well as his growing financial problems during the Great Depression. Hit hard by poor book sales and worn thin by an exhausting lecture tour, Mukerji described long bouts of depression and begged Nehru for money to return to India. There are many ways an archive can tell us a story. I found myself reading these letters like a novel. In the manuscript room above the Nehru Memorial Museum and Library in Delhi, I opened the letters where I had left off the day before and I grew anxious as I began to feel the remaining pages in the volume become thinner. Mukerji’s letter from May 1936 ends: “Not a pleasant little world we live in. Is it? However until God in His Mercy changes it for the better we must get along as well we can.” I turned the page: the next one was blank. My heart skipped, and I swallowed hard. I surprised myself when I started crying. I turned the page again: it was a letter from Mukerji’s wife announcing Mukerji’s suicide on 14 July 1936. 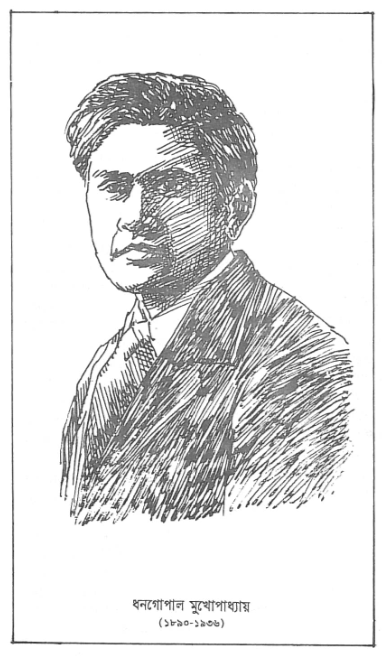 Dhan Gopal Mukerji was among the first successful Indian-American writers and one of the first Indian authors who took seriously the task of writing in English. Born in Calcutta in 1890, he immigrated to California by 1910. He received widespread recognition for his 1923 memoir, Caste and Outcast, which described his Brahminical upbringing in Bengal and his lonely college days at Berkeley. He won the Newbery Award for his 1927 Gay-Neck: The Story of Pigeon. In 1928, he published a critically acclaimed response to Katherine Mayo’s Mother India. Though he would only return to India twice after leaving it, the country and its fight for independence remained centrally important to Mukerji. He believed his life work was to “translate” India for his US audiences, most of whom would never have the chance to see the country firsthand. He remained especially close to Jawaharlal Nehru throughout his life, and the two men exchanged letters frequently through the 1920s and 1930s. Mukerji and Nehru made excellent friends. Their correspondence demonstrates their shared love of political philosophy and literature. Mukerji sent Nehru the latest books from the US; Nehru was the sole supplier of Mukerji’s elaichi and chawal (Mukerji refused to believe cardamom and rice in the US were appropriate substitutes). In the cold winter of 1933, Mukerji wrote to Nehru that he still couldn’t figure out how to describe the sound of the wind off an upstate New York lake: does he borrow from Sappho or from the Upanishads? Thirty years earlier, Rudyard Kipling had predicted that the East and West would never meet; in Mukerji’s letters, the two worlds’ metaphors clash and coalesce in every description of American life. J. Daniel Elam is a Ph.D. candidate in the Rhetoric and Public Culture Program at Northwestern University.